Key Difference: Nausea is a sensation that one feels when he is about to vomit. Dizziness is to have a sensation of turning around that is feeling unbalanced or lightheaded. Nausea is a sensation that one feels when he is about to vomit. The word nausea has been derived from the word ‘nausia’, meaning motion sickness. Nausea does not have a specific symptom, but it has many possible causes. 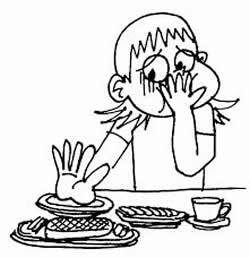 Nausea basically is a sickness of the stomach that occurs after having food. It especially happens by a strong dislike/disgust or bad feeling, and that may lead to an impulse to vomit. 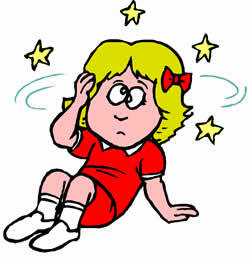 Dizziness is to have a sensation of turning around that is feeling unbalanced or lightheaded. It is basically a sensation of instability. Dizziness can refer to vertigo, disequilibrium, or a non-specific feeling such as foolishness or giddiness. The sensations like floating, moving, whirling is known as vertigo. It can also occur when one is standing still or lying down. Standing up too quickly, or exercising too hard on a hot day can cause to a dizzy or lightheaded feeling. Sickness of the stomach, especially when accompanied by a loathing for food and an involuntary impulse to vomit. Causing giddiness or confusion: a dizzy height. Mary complained of nausea and diarrhea. The nausea was so intense that she vomited in the party. The long and deep rides can encourage nausea. She often complains of dizziness and difficulty sleeping. The outward sign include sweaty palms, breathings problems and dizziness. Excessive noise pollution can also cause dizziness, headaches, and nausea. I understand lot of efforts have gone to put up this post. Quite an exhaustive list of comparison of both nausea and dizziness. I would like to add a point or two here, if you don't mind: as you rightly put, nausea and dizziness are different from one another, nausea sometimes is an associated symptom of dizziness. Nausea, vomiting, motion sickness are some of the associated symptoms of dizziness or vertigo or spinning sensation. That is because, due to inner ear problem, the brain cannot understand whether the body needs to move or be still ( thanks to the jumbled up signals the problem ear sends to the brain!!). Hence the spinning, moving, whirling or swaying sensation, called dizziness/vertigo. This condition induces motion sickness and nausea. Vertigo suppressant drugs, actually suppress these associated symptoms and relieve the person of the discomfort. I would suggest a read here: https://www.neuroequilibrium.in for those who are interested to know more how nausea and dizziness differ and how they are caused. As your list points, the underlying medical conditions cause these signs and need to be treated. Thank you for such an informative post and your efforts.